Monte Carlo Weekly Photo: A boozy night? Jilly, I just KNOW there is an amazing story in that picture... I just wish I could hear it! Maybe they thought umbrellas could be recycled? We'd love to have easy-access recycling here in the States. 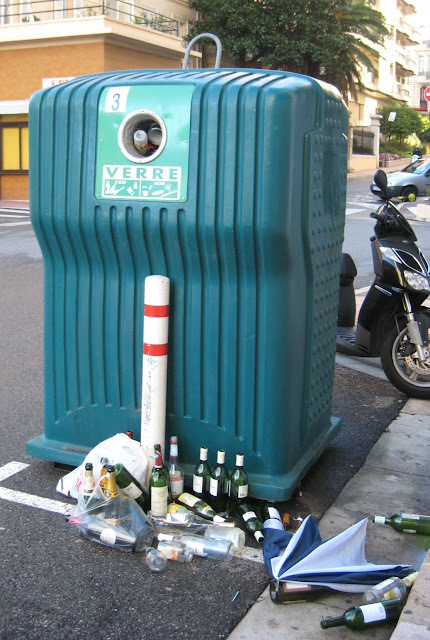 It's unfortunate that many, many Americans do not recycle!